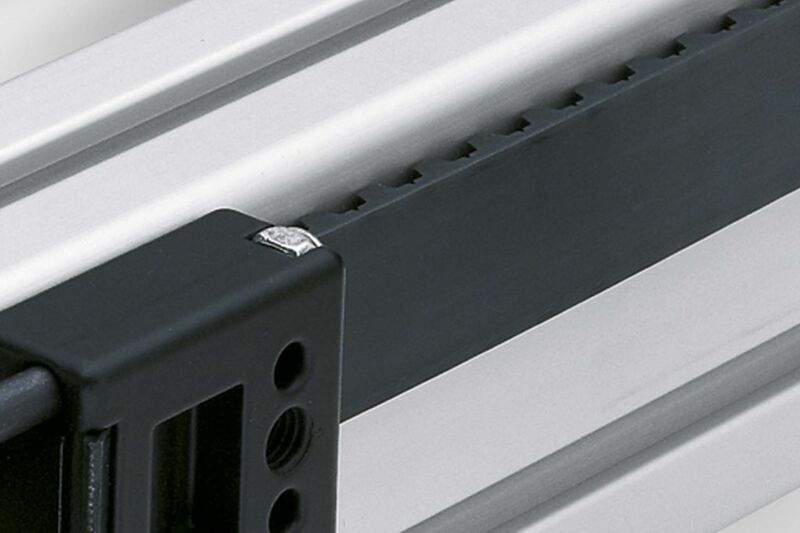 Once the LRE linear module has been built, a timing belt system can automate the slide. 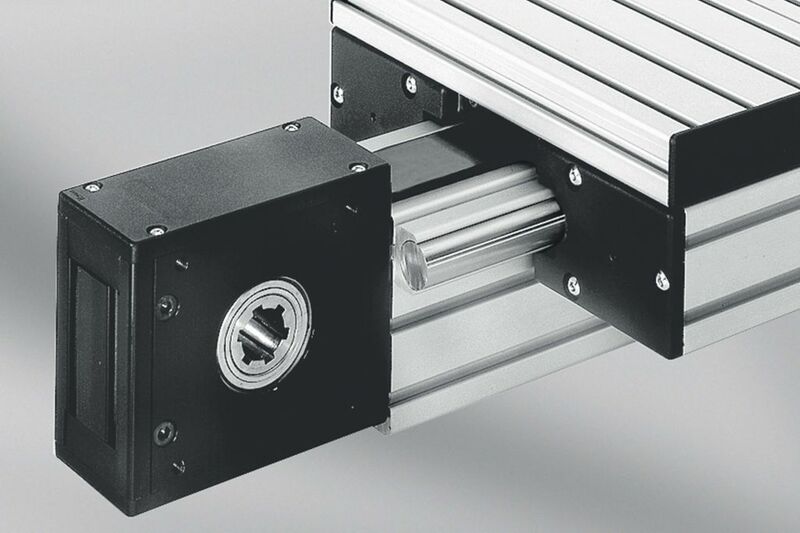 Many different motors can be attached to the unit, depending on the application. Quiet-running timing belts are attached to the module with timing belt tensioners. 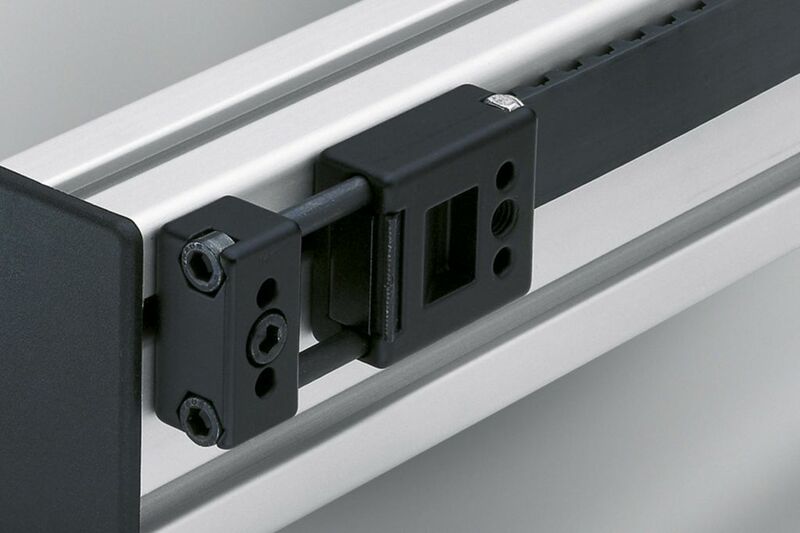 The tensioners can be installed underneath the sliding carriage or at the profile end. Loop the timing belt around the module with Reverse Units.